Liz's Paper Loft: My Creative Time's November Release ~ Day 1! ***This is my second post of the day...Please click HERE for MONDAY HOP with EAD Designs!!! Today I made a layout, I'm really lovin' the 8x8 size! 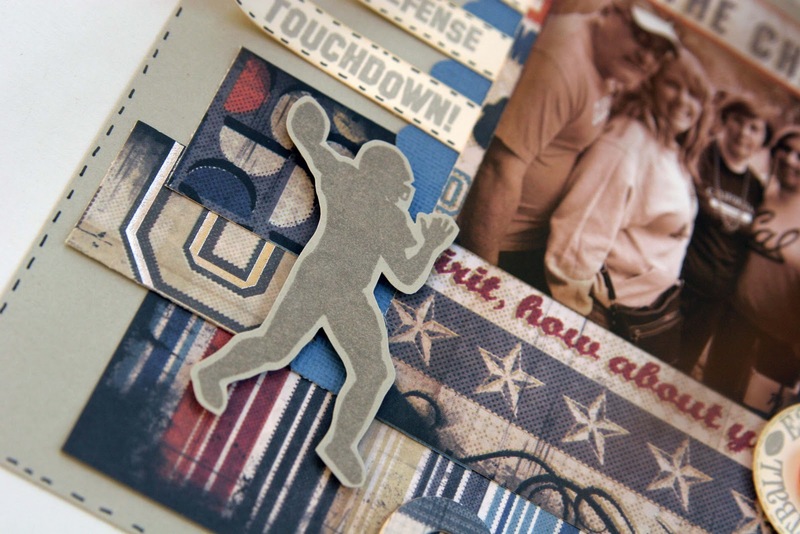 And I'm really lovin' this new stamp set "Touchdown" and "Sports Sentiments"! That's right "MANLY" stamps! This may not seem like a football layout, but it really is...this is a picture of us at a Cal game! I inked around the edges of the photo to make it look a little older. I stamped the image then cut it out! 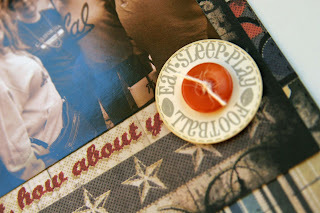 Sneak Peek Giveaway Time!Listen up "My Creative Time" friends! We are giving all of you an opportunity to win the BEST PRIZES during Sneak peek week with a total of "6" winners to be announced during Friday's Stamp release! All you have to do is leave a comment HERE along w/the rest of the design teams blogs for a chance! There are some AWESOME prizes w/this release! Make sure that you check out what the others on the DT made! Okay, this is just too stinkin' cute, Liz! Those papers are awesome, and each element you used is just perfect! I really love how you used the words on the tags coming off the side! Great Page LIz! Thanks for the heads up on my blog oops! OH LIZ this page is adorable! 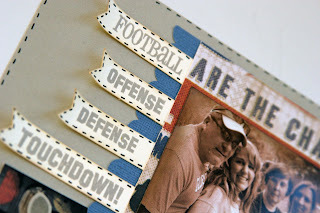 I LOVE the vintage football theme. You are such a rock star! :) Loves! Can't wait to see your other creations. Your layout is so cute! Amazing job! That is so cool! I love seeing layouts! FAntastic layout!! Great group photo!! Liz, this is wonderful!!! I love the colors! Love all those manly stamps too!!! Fab job my friend! Thanks for visiting me at my blog too! Love this layout!! Really diggin' this stamp set. Great layout. Lots of nice details. How did I miss commenting on this great layout?? But I don't see any post or remember typing one for it. Great use of the new stamps! You showed quite a few. The new release will be great. I saw your layout over at Emma's... Love your layout! (you know I prefer to scrapbook) you did a super job! 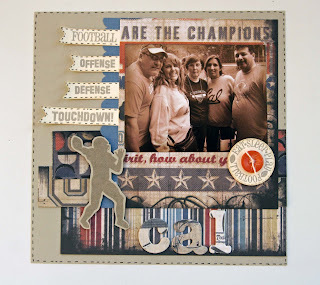 Fantastic football layout!! I love this one! 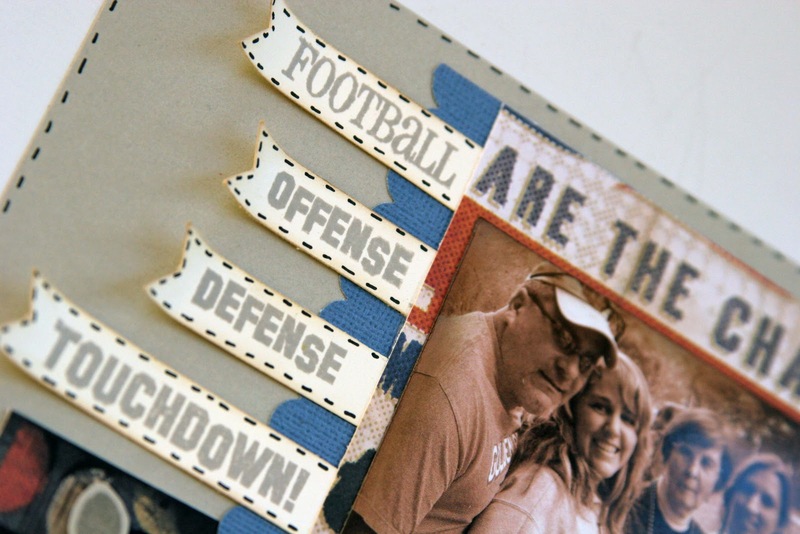 I can see all of the numerous uses this set will have after seeing your layout! Amazing layout! Thanks for sharing! Has a vintage look to me and it adds a wonderful touch. Awesome layout!!! I dig the colors:) Great job!! TFS! What a great LO, I really liked your use of a sepia toned photo with all the colors you chose, perfectly paired! Your layout is so cute. Thank you for sharing. What a great layout. Its perfect. Very cool layout, Liz!!! :) And I am loving Emma's My Creative Time Stamps!!!!!!!!! !